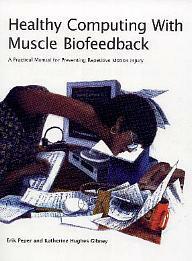 Biofeedback/Neurofeedback Equipment for Clinic, Clinical Training Courses. Biofeedback/Neurofeedback Treatment including By Remote. Stress, ADD/ADHD, Attention Deficit, Learning Disabilities, Pain, Phobias, Peak Performance. Low Pricing on Stand-Alone and Computerized Biofeedback/Neurofeedback Systems. Facial Flex - "Facial exerciser to give your face a lift without surgery"
The GSR 2, home biofeedback device precisely monitors your stress levels by translating tiny tension-related changes in skin pores into a rising or falling tone. By resting two fingers on the sensing plates you learn to lower the pitch and your stress level. Cordless finger-rest sensor - with built-in-tonal feedback - automatically measures galvanic skin resistance (GSR). Uses a 9V battery (included). Stress also reduces blood flow to the hands causing cooling. The GSR/Temp 2X home biofeedback system allows you to do hand warming biofeedback in addition to training with the GSR 2. Includes the GSR 2 monitor, temperature sensor, body sensors for hands-free use, dual-sensitivity meter, thermometer, earphone, instruction manual and a CD with a short relaxation program. Uses a 9V battery (included). CalmLink works in Windows XP, 7, Win10. Note - The Calmlink software is not compatible with Win Vista, but is compatible with Win XP (including Intel Core Duo hardware). The Calmlink software is compatible with XP, Win Vista and Win 7, and Win10. 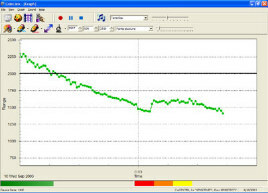 These powerful CD programs use biofeedback relaxation techniques to help prevent stress from interfering with the achievement of important personal goals. All have been developed and field tested by leading clinicians from major medical institutions to work with a home biofeedback device. Each includes an easy-to-follow workbook. 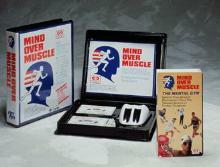 MIND OVER MUSCLE - The Mental Gym was created by Major Nory Laderoute, former Director of Physical Education Training for the Canadian Armed Forces Combat Training Center and Lawrence Klein, Vice-President of Thought Technology Ltd. It teaches athletes relaxation and visualization to enhance sports performance, and is being used by thousands of Olympic athletes worldwide. Nine leading U.S. and Canadian Sports Psychologists, Olympic Coaches and World Class Athletes join Major Laderoute to reveal the mental secrets of Athletic Peak Performance, bringing these techniques to the weekend athlete.